If there are two versions of a product, one in its normal packaging, and one donating money to a cancer charity, chances are that I’ll go for the cancer charity supporting item, even if it costs more. I know, that sounds silly – but I figure if I can help a charity at the same time as doing my shopping, why not? 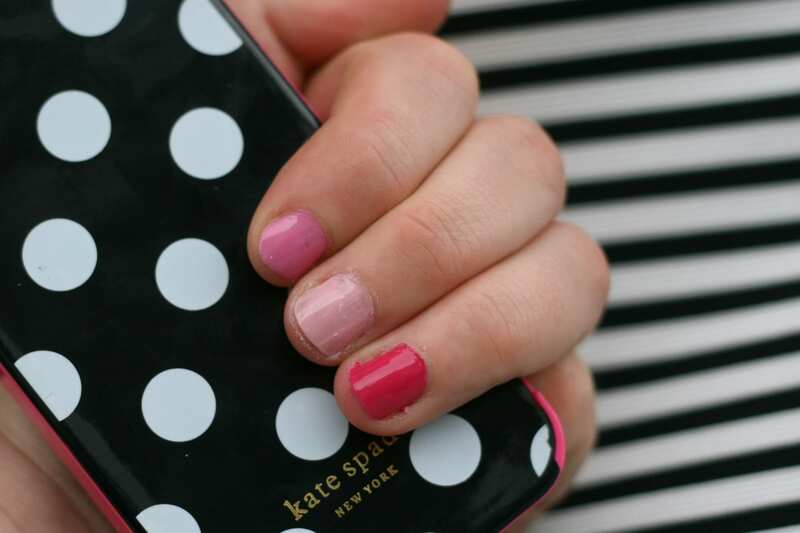 I like to paint my nails the brightest pink for Race for Life, and never need much of an excuse to buy new polishes. So when Liloo (one of the kindest, sweetest, funniest bloggers you’ll ever have the pleasure to meet) emailed me to tell me about this collection by BeautyUK, I knew I’d be heading to Superdrug by the end of the week. 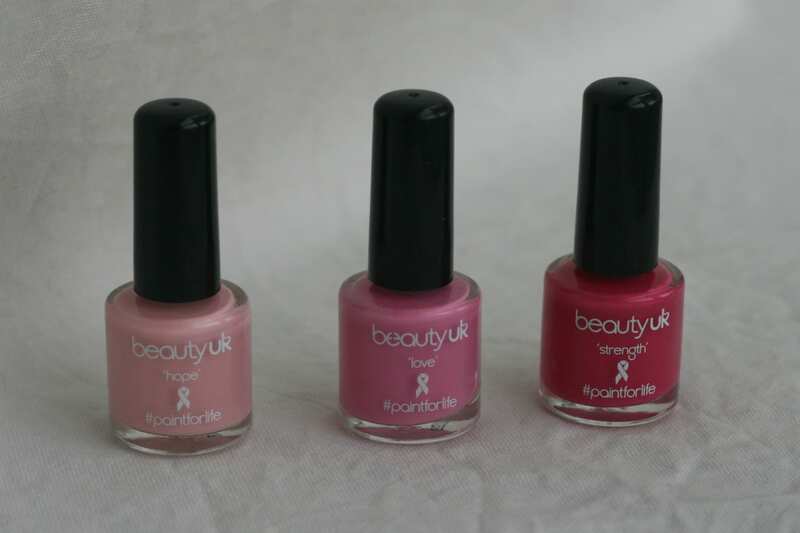 For £6 (with £1 going to Cancer Research), you’ll get 3 nail varnishes, in “Hope”, “Love” and “Strength”, three words that are very relevant to Race for Life. This is a great set for anyone taking part in Race for Life – the colours work well together, and I can think of some easy patterns (I can’t call it nail art) to do. This set is available from the BeautyUK website, or from your nearest Superdrug. Oh, and if you’d forgotten, my friends and I are running Race for Life next month (!) and we’d love your help getting us to our target of Â£1000 – check out our sponsorship page! 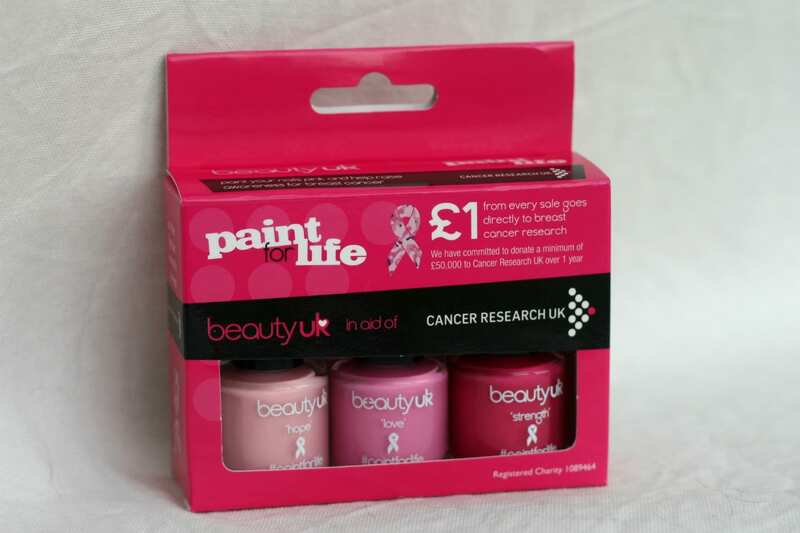 These are really lovely shades, I always try and get products that support charities where possible! I’m anxiously awaiting my local superdrug getting these in! This is such a nice idea! I am with you – if I can help a charity without going out of my way at all but just buying my regular shopping – well why on earth wouldn’t I? !